Make flour paste by adding wheat flour and water, consistency should be thin, keep aside. In big bowl put all ingredient mix it well with spoon. Take one samosa patty and make a pocket at one end. Fill it with this mixture and seal the third (top) edge by applying a flour paste in it. Fill the rest of the samosa by same method. 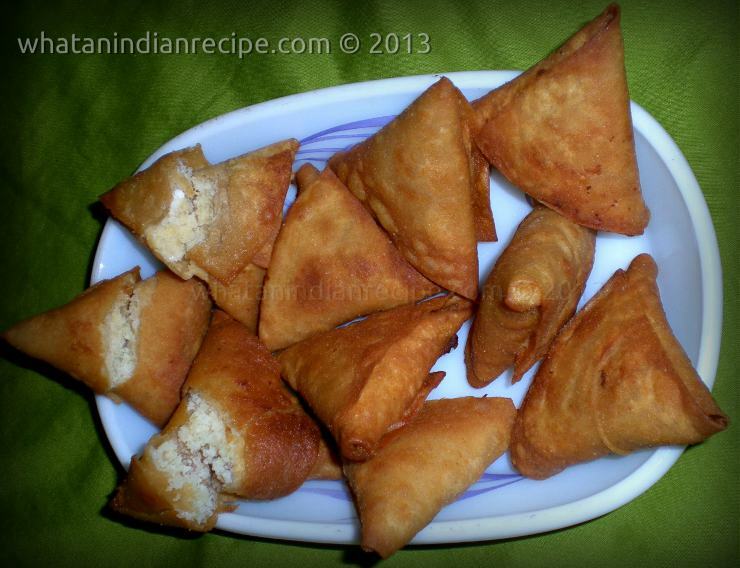 Deep fry this raw samosa in a medium flame till it becomes crispy and golden brown in colour.